Far left hack Frederica Wilson went on CNN and accused White House Chief of Staff General John Kelly of being a racist. 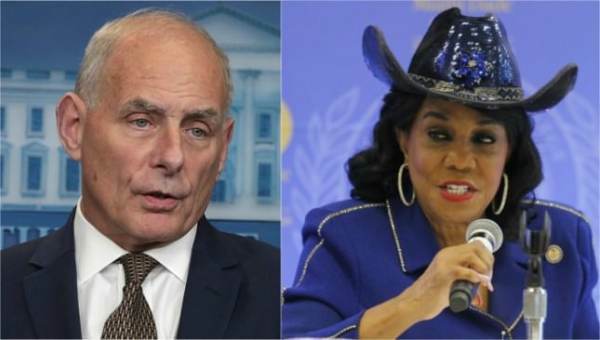 General Kelly described loudmouth Wilson of being an “empty barrel” for shooting her mouth off without thinking. Plato and William Shakespeare were also credited to using the term. Many credit Plato for bringing “empty barrel” into the vernacular: “An empty vessel makes the loudest sound, so they that have the least wit are the greatest babblers.” Some believe the proverb truly has Jamaican origins, while others credit it as Spanish. A book of world proverbs gives 21 variations of the expression. The Trump White House stands by General Kelly and his statements on the empty barrel.